My love of records, knows no bounds. My boyfriend's love of records, knows no bounds. We are a family that loves vinyl. When I think of records, it brings about a lot of memories. My mother and father had lots of them growing up, and we played them quite a bit. Especially during the holidays. No christmas tree was decorated without the our ears being piqued by the sounds of the record player. The monthly box is delivered to your door with the chosen album of the month, a 12x12 art print and a custom cocktail pairing recipe. Vinyl Me, Please is a record of the month club that believes in the power of the album as an art form. For us, music isn’t just something we listen to, it’s a part of us. We believe that albums are meant to be connected with and enjoyed as a complete work of art. 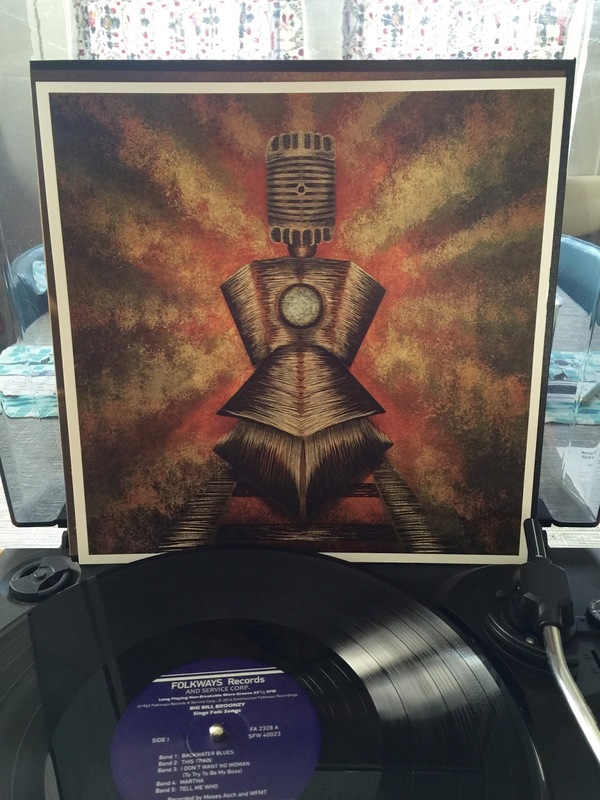 Vinyl, as a medium, creates an environment for this connection through deep, active listening…the music as the focus, rather than just background noise. Each month we feature one album that is worthy of your time & attention, work with the artist & label on a custom pressing with exclusive features available only to Vinyl Me, Please. We package each record with a 12” x 12” album-inspired art print and custom cocktail pairing recipe and send it to your doorstep. Big Bill Broonzy. This was right up my alley. Riiiiiiight up my alley. Old folk that is jazzy and full of blues. This was the February Album of the month and we partnered with Smithsonian Folkways Recordings to reissue the 1962 Big Bill Broonzy classic, ‘Big Bill Broonzy Sings Folk Songs’. 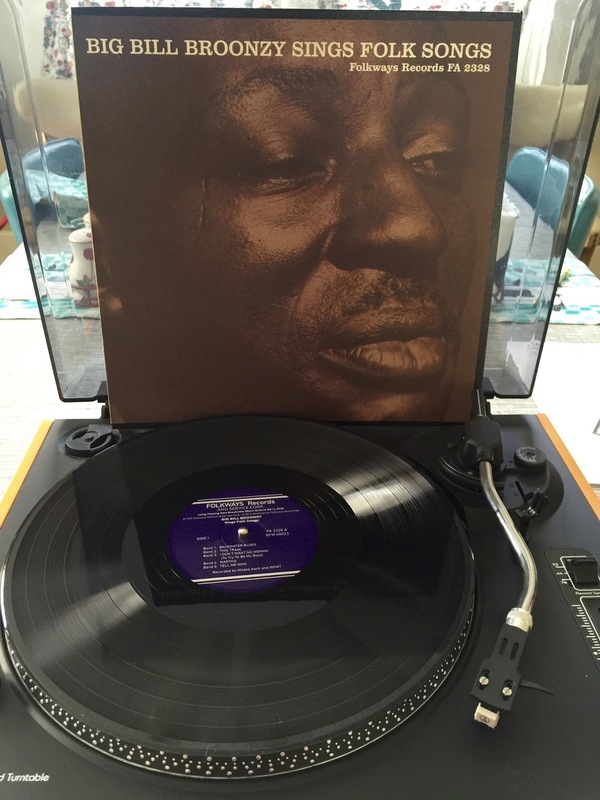 This album shows Broonzy lending his unmatched blues vocals and propulsive guitar to classic folk songs. The album has been remastered exclusively for Vinyl Me, Please by the GRAMMY-award winning Pete Reiniger of Smithsonian Folkways. Our house is alcohol free, so I will not be partaking in the cocktail recipes, but that doesn't need to stop you! The recipe that accompanied this album is the Sidecar. When I was a drinker, I did enjoy quite a few of these! 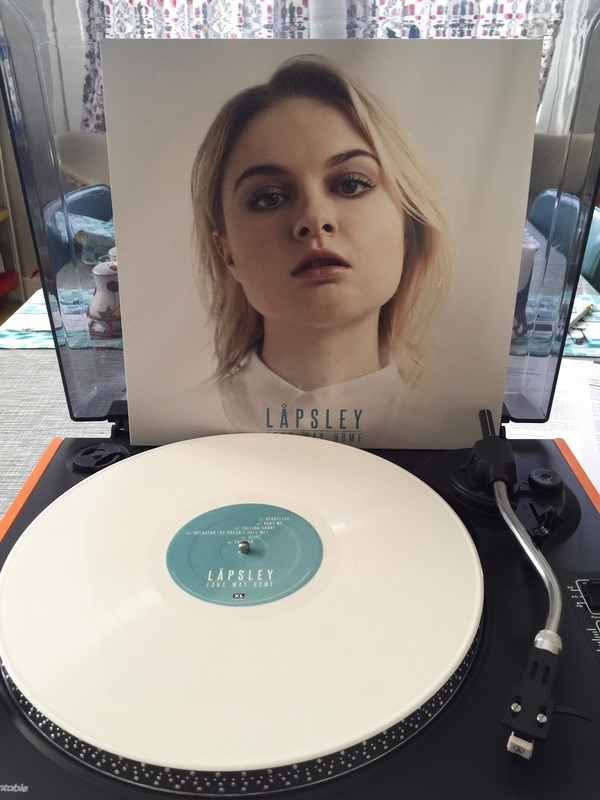 Lapsley is the next album I got for review. Now, this is not something I would ever pick for myself to listen to. It is kind of indie, kind of pop, kind of electronic. I, however, do enjoy listening to new things. Her voice is very melodic. "There’s a dark, roiling hue to the pop sensibilities of Holly Låpsley Fletcher that hooked us in when we first heard her debut album Long Way Home. While her vocal & melodic prowess have the right ingredients for the next big pop star, the minimalist electronic underpinnings push her left of center in just the right way, keeping the listener from ever being able to completely pin her down. At 19, Låpsley has produced an album far beyond her years & one we’ll be quick to spin again and again." The cocktail recipe is for a Dark & Stormy. I have never tried a Dark and Stormy, but I love(d) a good Moscow Mule (hello ginger beer! ), so I bet this is a drink I would enjoy. 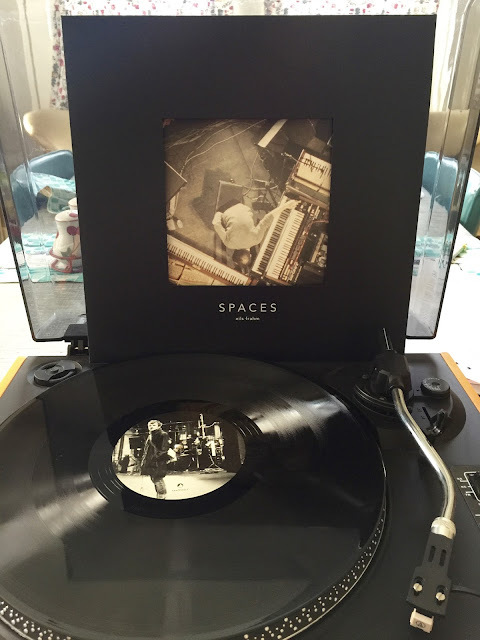 Nils Frahm was the final album for review, and one that I was not familiar with at all. But, upon listening to this absolutely stunning arrangement of music, I am hooked. "Part of our goal each month is to not just find great albums, but artists consistently pushing the boundaries of their respective genres. Nils Frahm has always intrigued us as an artist for this very reason and of all his works,Spaces is a jaw-dropping tour through what makes him one of the most brilliant composers & performers of our generation." as described on the website. The cocktail recipe is an Ivory Sour, and one that looks a little labor intensive, but most good things are worth the wait, right? Vinyl Me, Please is really a great upstart company, and one that if you enjoy music, you should at least look into. The album for April is the Fugees, and hello, who wouldn't want this album in their collection? I guess the only thing I have left to do is go purchase some frames to put my new art. *these albums were sent as a courtesy from Vinyl Me Please for review.